The Dodgers are leading the major leagues in home runs with 47. They’re on pace for 272 home runs. They cannot keep up this pace (right? ), so the amount of runs their scoring from home runs is somewhat alarming. The team has 247 hits, 47 of which have gone over the fence. That’s the highest percentage of hits-to-home runs in baseball (19 percent). That number was at 9.1 percent last year (134 home runs). 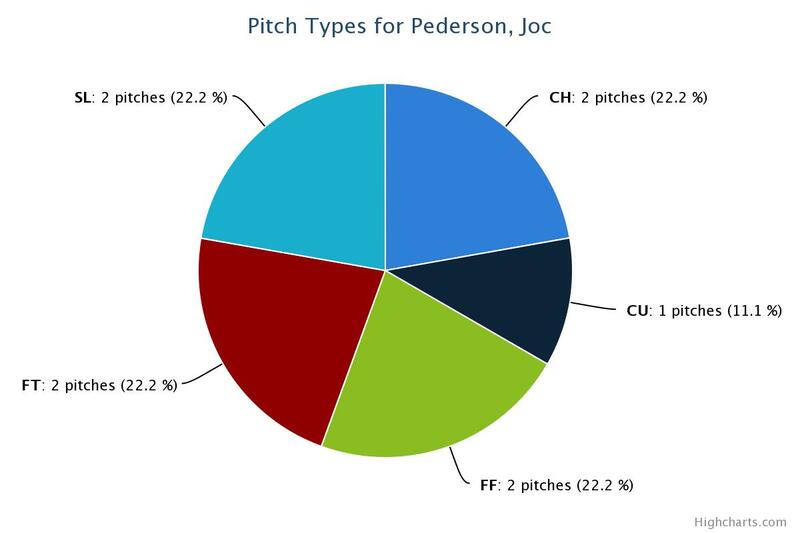 They have an almost identical HR/FB percentage of 19.3 percent, which also leads the majors. And since they’re hitting so many home runs, it only stands to reason they’re leading the majors in percentage of runs from home runs at 74 runs 51.7 percent. More than half of their runs have come via the long ball. 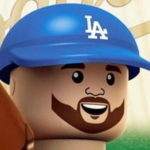 Mark McGwire said the Dodgers aren’t a home run hitting team. The early evidence seems to think otherwise. The Dodgers have only played four games in which they haven’t hit a home run, and they’ve homered in eight consecutive games. A trip to Colorado might only improve those numbers — that is, if Mother Nature allows it. 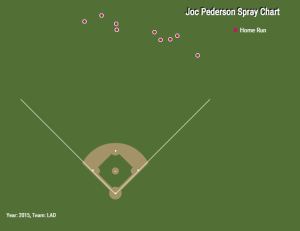 While Pederson hasn’t hit a true opposite-field home run, he isn’t shy about hitting the ball out to the largest part of the ballpark. And he isn’t just hitting fastballs out. He’s doesn’t discriminate against off-speed and breaking pitches. There isn’t a Jose Bautista, Giancarlo Stanton or Bryce Harper in this lineup or this organization (I mean, 80-grade power bats don’t grow on trees). But if you have a lot of guys with average-to-above-average power, the home run total is going to be somewhat impressive. These guys will cool off at some point. Pitchers will make adjustments and the Dodgers will have to score by other means. And with the base running on improving marginally since my post on it earlier this week (from -3.2 to -2.6), the situational hitting is going to have to improve. That’s when a guy like Howie Kendrick could show his true offensive worth to the team (especially if he’s hitting in the 3-5 range, which he absolutely should be). All this, and Yasiel Puig has been on the disabled list and (at least it feels like) he hasn’t really gotten into a groove this season (despite a 140 wRC+). What I’m saying is, the amount of runs the Dodgers are scoring with the home run is something to keep an eye on. If they’re going to be really dependent on home runs for scoring, that could come back to haunt them come playoff time. There were 57 home runs hit in the 2014 postseason and 55 in the 2013 postseason. That’s over the span of a month and with multiple teams. In the playoffs, the level of pitching tends to be much better than over the course of the regular season. As long as the Dodgers keep getting on base, they will continue to score runs. They don’t necessarily have to hit the ball over the fence to score, and I suspect some of the home runs they’ve hit early on might turn into doubles, which isn’t a bad thing. In fact, they’re fourth in the majors in doubles, too. They’re the only team with an ISO of better than .200 (.222, next-best is .186 from those lovable Astros) and their slugging percentage is .484 — 33 points better than the second-best team (Rockies). Maybe all this power isn’t as unsustainable as it appears on the surface, but I still don’t think they come close to 200 home runs. They will hit more than the 134 they hit last year, though. One thing’s for sure: This team can flat-out hit.